This page is dedicated to our beloved Vallhunds that have gone before us. Tia was a special girl and a great ambassador for the breed. 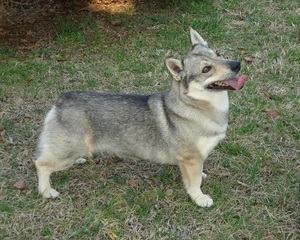 She was the first female and second vallhund to achieve the title of AKC Champion and AKC Grand Champion. She was BOS at Westminster in 2008 & 2009, received the 2010 Award of Merit and took BOS at Eukanuba in 2011. She was #1 female Swedish Vallhund in 2010 and in the top 25 in 2007, 2009, & 2011. 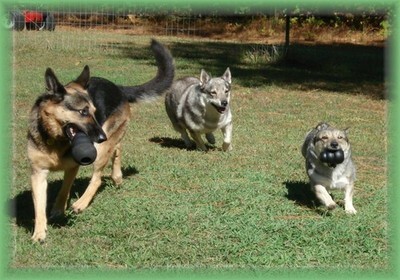 She was also UKC's #1 Swedish Vallhund in 2006. Tia excelled in the show ring both with AKC and UKC and had multiple breed and group wins. She also earned herding and agility titles. Tia was my little princess and will be greatly missed. We thank James & Karen Gilliland at Castleavery for entrusting us with this wonderful girl! We said good-bye to our beloved Chance on March 11, 2016. Chance was our first vallhund and he got us hooked on the breed. He was a special boy and we will miss him. We like to think that he is once again playing with his best friends Lexi & Tia.